Meprolight Tritium Night Sights for Springfield XD. Not meant for .45 ACP models. Available with green, orange or yellow rear sights. The front sight is green. Meprolight night sights feature a very distinguishable white outline around the tritium ampule for daylight conditions. In darkness the tritium ampule provides illumination. 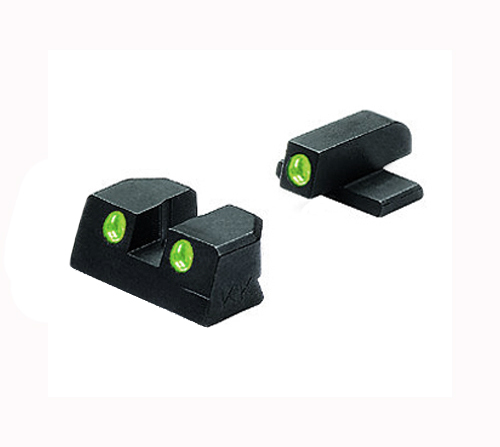 Meprolight Night Sights provide fast target aquisition in all lighting conditions.